We are proud to present the famous Allen & Heath QU-24C (Chrome Edition). With so many available these days, it is wise to have a make you can recognise. 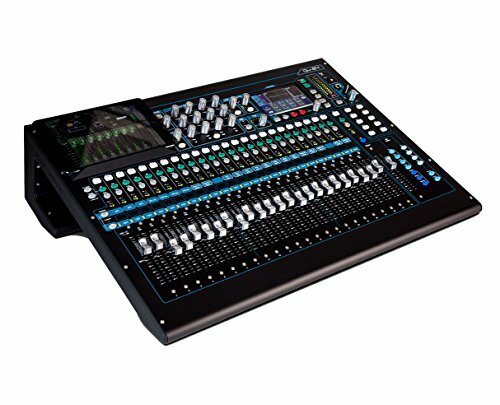 The Allen & Heath QU-24C (Chrome Edition) is certainly that and will be a excellent buy. 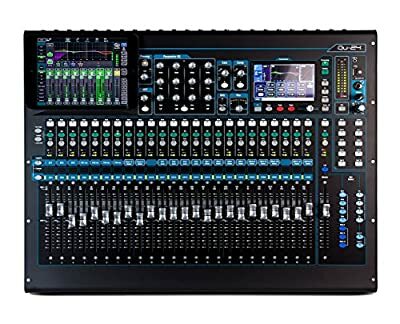 For this reduced price, the Allen & Heath QU-24C (Chrome Edition) is widely recommended and is a regular choice for most people. Allen & Heath have included some excellent touches and this equals good value for money. 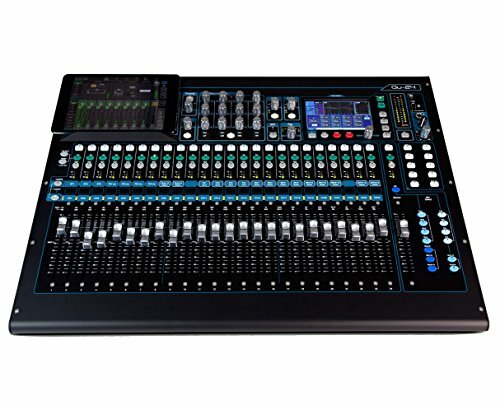 With its responsive touchscreen, 25 motor faders and acclaimed AnalogiQ recallable preamps, Qu-24 combines exceptional ease of use with class-leading audio performance. 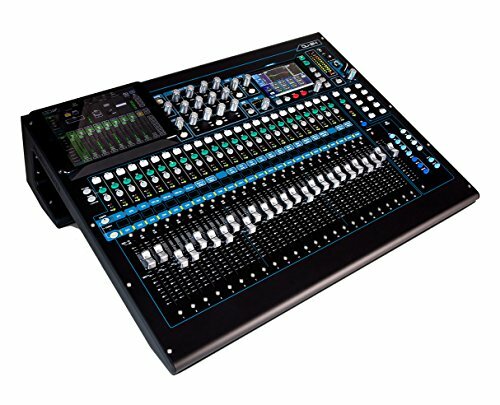 Drawing on the technologies and workflow pioneered on our GLD and iLive touring systems, Qu makes Allen & Heath digital mixing more accessible and more compact than ever. Qu V1.8 Chrome firmware (scheduled for release in mid-October) adds hot new features, including Automatic Mic Mixing, more monitor mixes and a Spectrogram for feedback-hunting. Qu Chrome Edition models will also feature upgraded, high contrast metallic finish controls. 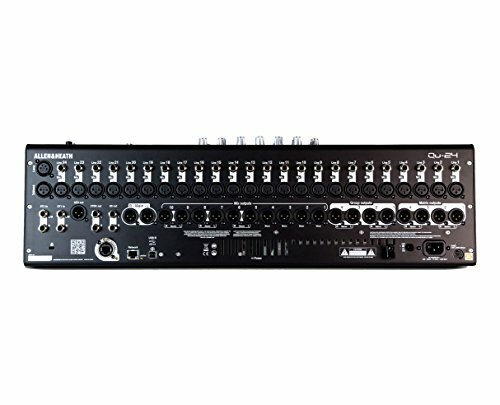 ANALOGIQTM PREAMPS Qu-24's twenty four AnalogiQTM total recall preamps feature zero crossing detection and an advanced padless 1dB step gain stage, closely allied to the DSP for optimal gain accuracy and audio transparency. The analogue signal is captured by high class, low latency 24bit analogue to digital converters matched to high quality 24bit digital to analogue converters to deliver the required outputs. 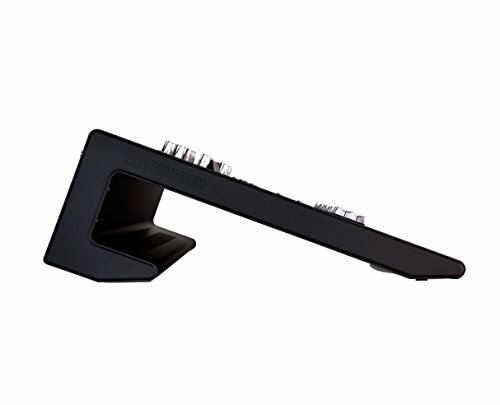 The AnalogiQTM design has been refined over many months to offer superb transparency, minimal distortion and an ultra-low noise floor, with a warm, musical sound that is missing from some digital consoles.